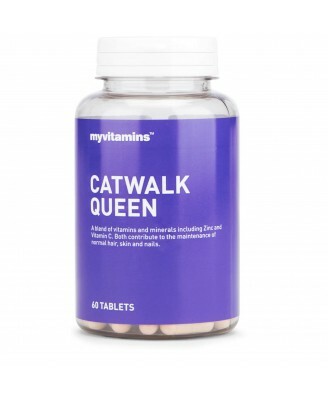 Catwalk Queen is a beautiful blend of ingredients crafted to supply the body with fundamental nutrients to benefit the health of hair, skin and nails, to make you feel catwalk ready. This unique formula incorporates vital vitamins, minerals and other nutrients such as Vitamin C that contributes to the formation of collagen; the protein essential for healthy skin and nails. Vitamins C and selenium slow down the signs of ageing by contributing to protecting the body's cells against oxidative stress. This comprehensive, beauty pill combines trace minerals to such as zinc and selenium that contribute to the maintenance of normal health of the hair and nails. Who can benefit from Catwalk Queen? 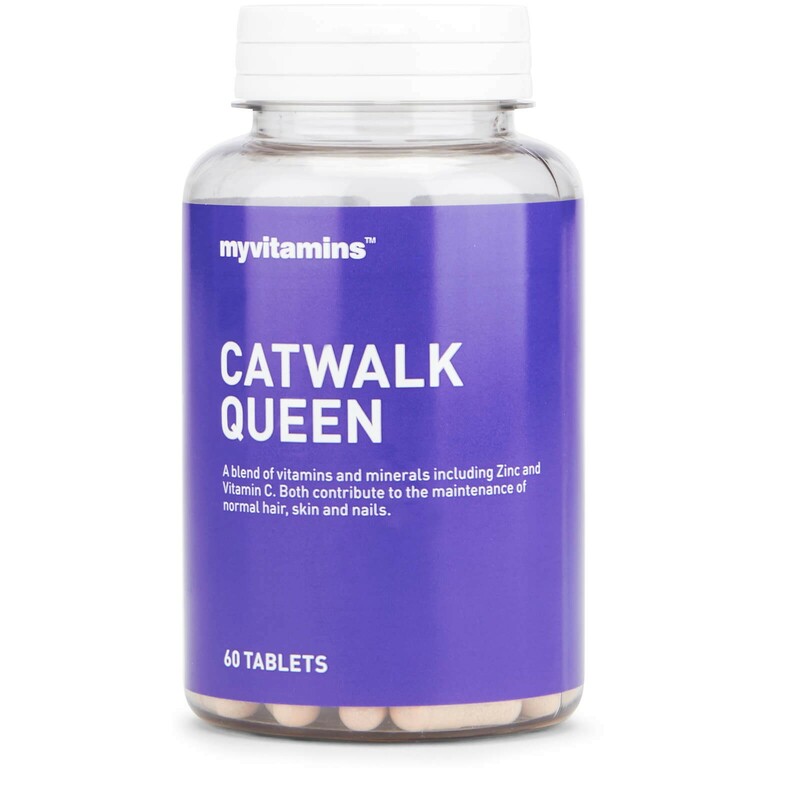 Catwalk Queen is a great choice for those looking to give their hair, skin and nails a healthy little boost; supporting the regeneration and strength of all three! To be taken as part of a varied and balanced diet and a healthy lifestyle.